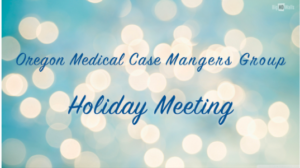 The OMCMG Holiday Meeting is always an event to look forward to! We have an engaging, talented speaker, an amazing location and festive activities planned. We hope that you will join us! DR. KIM CHI VU, MD.